Rachel Rooney was born in London, the fifth of six children, and now lives in Brighton, Sussex. She trained and works as a special needs teacher, along with visiting schools for poetry readings and workshops. 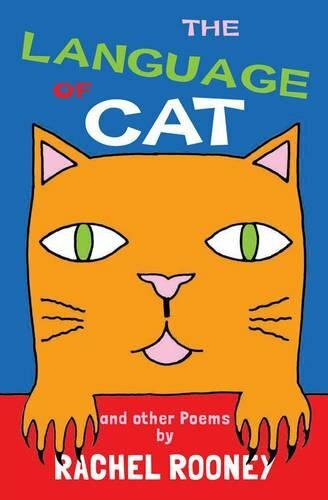 Her first collection of poems for older children, The Language of Cat, was the 2011 Poetry Book Society children’s choice. It also won the 2012 CLPE Award and was long listed for the Carnegie Medal. Her second collection, My Life as a Goldfish, was published by Frances Lincoln in 2014 and shortlisted for the CLiPPA in 2015. A Patch of Black, her first rhyming picture book, was published by Macmillan Children’s Books in 2012. Her next book, A Kid in My Class, illustrated by Chris Rdell and published by Otter-Barry Books is out in 2018. This recording was made for The Poetry Archive on 4 December 2012 at The Soundhouse and was produced by Anne Rosenfeld.